The Good Mother Research Papers looks at a book by Sue Miller that questions which is more important for a woman, love for a man, or love for her offspring. Research papers and book reviews are custom written and can focus on any work of literature you need. 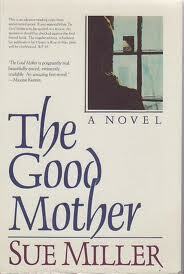 Miller's book, The Good Mother, is frequently used for character analysis or psychological examination of motherhood. Have our writers help you with a book review on Sue Miller's The Good Mother. The book The Good Mother by Sue Miller asks questions which have needed to be asked more and more in recent years with the increases in the number of divorces. Which is more important for a woman, is it the love she has for a man, or is it the love for their offspring? What is moral and immoral. Which is more important freedom or family? The Good Mother focuses upon the character Anna Dunlap, a piano teacher. At the start of the book Anna’s marriage to her husband Brian has just broken up with a divorce on fairly good terms. Anna is able to keep her child Molly as Brian moves to Washington and quickly marries the woman with whom he had been having an affair. After this description Anna flashes back to her own adolescence and childhood. The reader is given a detailed background and description of her family and childhood including her hard time dealing with men and her fierce connection with family. She sees herself as being without passion until the next point in the story at which she tells of her relationship with a man named Leo Cutter. Leo Cutter is the male character who forces Anna to face the decision of whether her love for him is more important than the love for her daughter. They meet in a Laundromat and soon become lovers with Leo eventually staying at her apartment much of the time. Molly comes to like Leo. That is very important to Anna but as Anna points out at some point she forgot about Molly and what was best for her. Everything seems right in the world for Anna as she seems to have what she has always wanted and to be who she always wanted to be. All of these thoughts become shattered though when Brian calls during one of Molly’s visits and declares that he is keeping her. He states he believes Molly has been sexually abused by Leo and has been exposed to too much sexuality because of her new relationship. Anna questions herself, wondering if she has allowed a man to hurt Molly, who is most important to her? Or is Molly saying these things to gain favor with her father? Most of all though she wonders if she has failed her daughter. Although the charge seems to stem from a misunderstanding, the question never seems to be fully answered with a clear description of what exactly happened even after the custody hearing. Leo asks Anna to fight for what they have but in the end she decides that Molly is more important to her. Anna doesn’t rail at society and blame it as a whole for the problem but in the end seems to take full responsibility for exposing her child to something she should not have as a good mother. In the end, the idea of being a good mother seems to be what is most important to Anna. Family Pictures - Family Pictures Research Papers look at a novel by Sue Miller that discusses two parts of the novel the first part is of a woman looking forward to being a mother, and the second part reflects back to her childhood. Family Dynamics - Family Pictures Research Papers look at a novel by Sue Miller that discusses two parts of the novel the first part is of a woman looking forward to being a mother, and the second part reflects back to her childhood. Child Abuse research papers illustrate the prolific nature of abuse against children in the world. A Child Called It - A Child Called "It" is a text that describes an eight-year period of time when David Pelzer endured emotional and physical abuse from his mother during the late 60's and early 70's. Paper Masters writes custom research papers on The Good Mother and look at a book by Sue Miller that questions which is more important for a woman, love for a man, or love for her offspring.